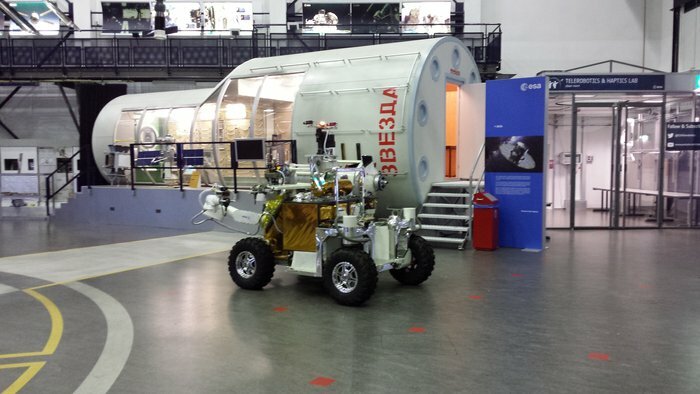 Eurobot Rover Driven On Earth By Astronaut 250 Miles Above It, On The International Space Station! Test-driving rovers/robots is extremely common, but typically the operator and the rover are at the same place, at the same time the testing is going on. On August 7th, European Space Agency astronaut Alexander Gerst did something unconventional, which was testing the Eurobot rover remotely from the International Space Station, approximately 250 miles above the rover he was operating on Earth. The rover was controlled from a brand new “space Internet” connection and brought people together from all over the world. In fact, while Gerst was operating Eurobot from space, the rover was performing its maneuvers in the Netherlands, “ground control” was in Germany, and communications, with the help of NASA, went through a facility in Belgium. The successful test marked a step in the right direction towards operating the Eurobot remotely in order to explore other parts of space, such as planets not safe for human exploration. The Beluga: A ‘Whale’ Of a Plane Built To Carry Other Planes and Helicopters!